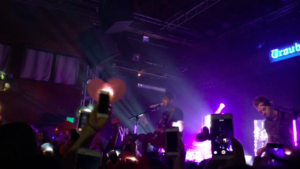 Jacob Whitesides’ Basically Happy Tour With Opening Acts Taylor Grey & Castro!! 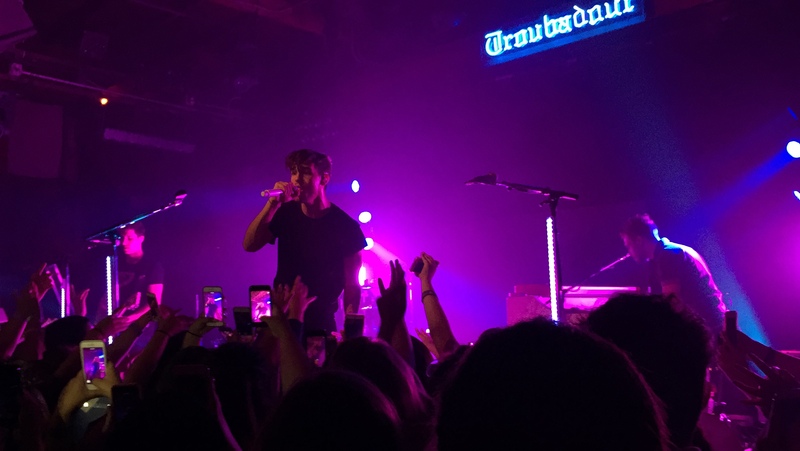 Last night, Jacob Whitesides came back to LA to perform at the iconic Troubadour for a second time with Taylor Grey and Castro. 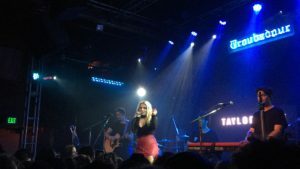 Taylor Grey came on first and performed a couple of her new songs from her album “Space Case” which was released earlier this week. She also performed a few covers that got the crowd dancing and singing along!! She did really good and many enjoyed her performance. Castro went on afterwards and also performed a couple songs from their new EP that was released last fall. Everyone enjoyed them a lot more then they originally thought and everyone had a great time. Everyone went crazy when Jacob Whitesides came out. It was such an intimate show where everyone knew every word to every song. He ended up singing songs from his debut album, “Why?”, as well as, some of his old songs that he is well known for like “Ohio”! My favorite song of the night was “Why Can’t We All Just Get Along” because some fans made hearts to put up during the song. Also when everyone thought Jacob was done, he came out to do an encore performance and sang “Lovesick” & “Let’s Be Birds”. It was a great way to end a great night!! 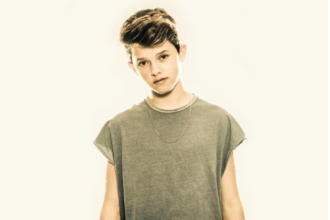 Taylor Grey Receives Two Independent Music Awards Nominations!